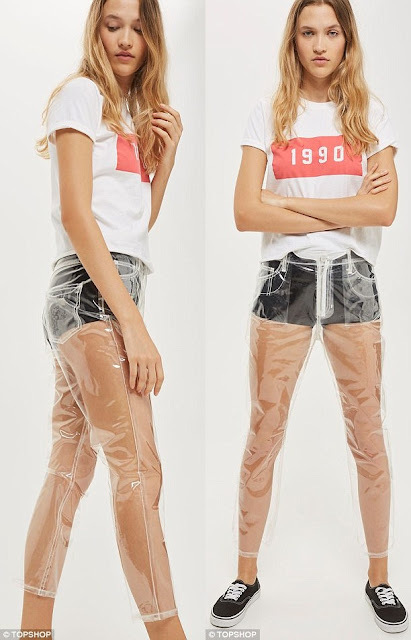 British high fashion label, Topshop just created a pair of pants that will make it okay for the ladies (or lads) who want to feel comfortable waltzing down the street in just their underwear – which is why they have proudly introduced their brand new transparent plastic jeans! 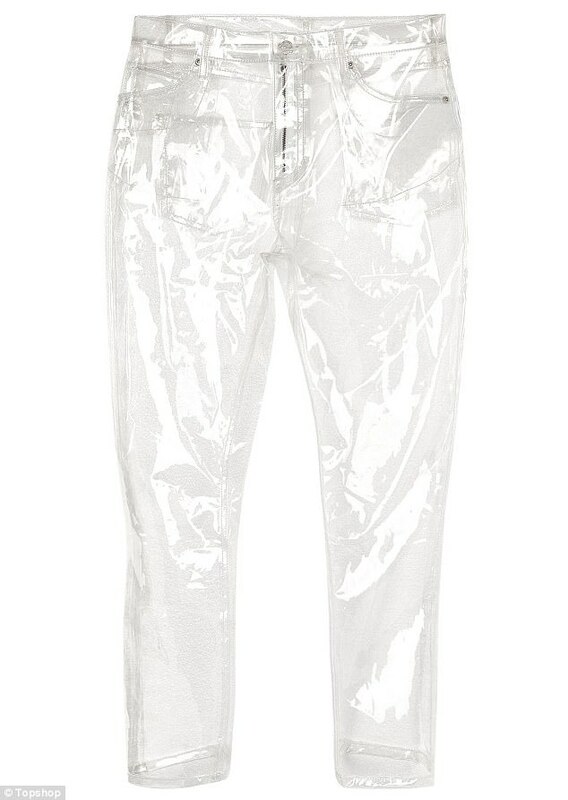 Dubbed as the MOTO Clear Plastic Straight Leg Jeans, the new “high fashion” clothing is made entirely out of plastic (despite being called jeans) and is completely see-through, priced at GBP55. To be honest, we’re not really sure how to feel about this piece of clothing - we’re completely dumbfounded – but we know for sure that the internet has a lot to say about this pair of “jeans”. 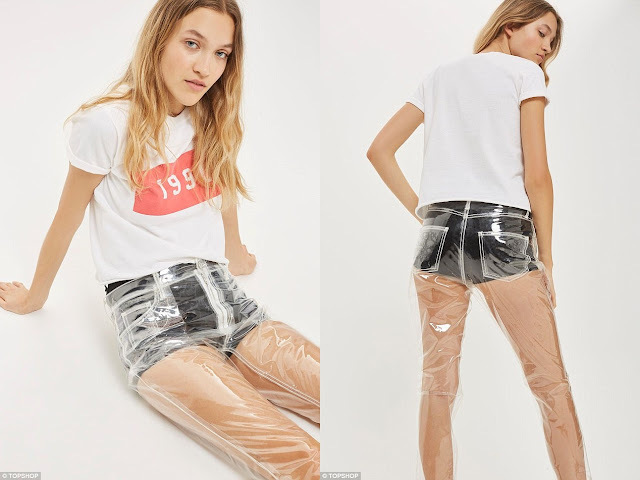 Though fashion is all about trying new things and pushing the boundaries, we feel that Topshop might be pushing it a little too far with their new fashion statement, and this brings us to ask many questions like; doesn’t plastic make you all hot and sweaty? Aren’t we supposed to reduce plastic usage? Does this mean that you can’t wear the pants if your legs are hairy? And if it’s going to be transparent, then we might as well not wear anything at all! 1. Wouldn't they be INCREDIBLY uncomfortable? 2. Surely they'd steam up in warm weather? 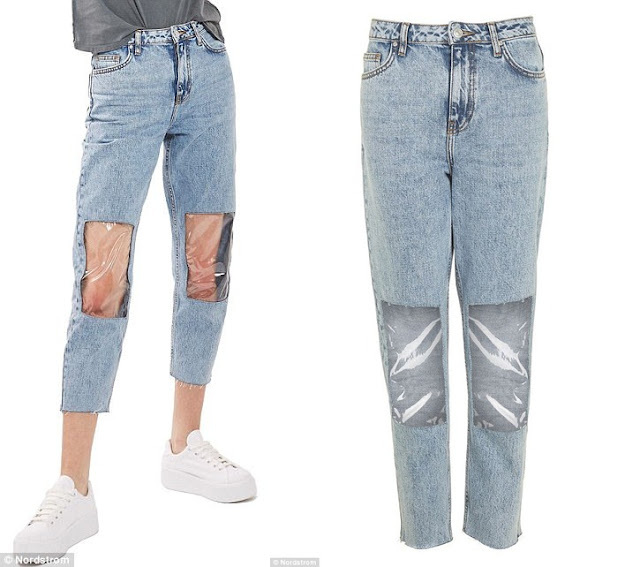 People asking "why are topshop selling transparent jeans? ", the answer is: So that people ask "why are topshop selling transparent jeans?" According to the description on Topshop's site, the pants works as a statement piece – you know, something like earrings and necklace that will make you stand out in a crowd. “Ideal as a statement piece for a festival or costume party, take the look to the extreme with a bikini and sequin jacket or dress down, layered under an oversized jumper or asymmetric hem dress,” reads the description of the clothing. We’re aren’t so sure if there’s anyone who can really pull off this look – well probably Lady Gaga, or Rihanna, or the Kardashian klan. Yep, told you a Kardashian would be into it. Also, apparently this is not the first time Topshop has become the talk of the internet. Earlier last month, the fashion brand was ridiculed for selling Clear Knee Mom Jeans, actual jeans with clear panels on the knees or as the internet calls it, "windows for your knees". 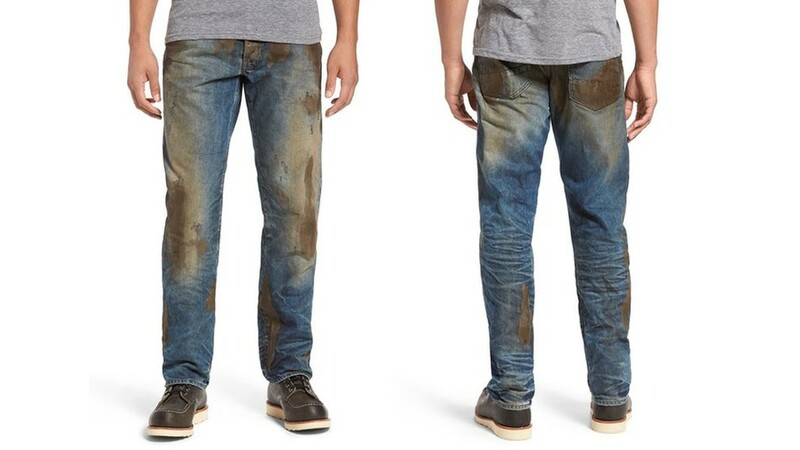 And while we’re at it, American chain Nordstrom is also currently under fire for their new mud-coated jeans which costs USD425. Nordstrom selling pre-dirtied jeans for $425. I'll save you money. $100 wear clean jeans & hang out with my child. Dirty for cheaper.